Georgia’s dissent against Russian hegemony is well-recorded in history. Being the first country in South Caucasus to declare its independence from the Soviet Union in 1991, foreign policy priorities of independent Georgia were inherently contradictory to those of Russia. In her 2011 PhD thesis, Carmen Amelia Gayoso Descalzi discusses Russian hegemony in the CIS (Commonwealth of Independent States) region and examines Russia’s influence, and variation in consent and dissent by CIS states to regional hierarchy. She, among others, explores cases of Georgia and Moldova and exhibits how these countries dissented against Russian hegemony. The author further underlines that “Tbilisi represents the most vocal dissenter to a regional hierarchy around Russia”. Georgia’s post-Cold War dissent to Russia did not start in 2008 as one could mistakenly assume, but it rather dates back to 1990s when Russia openly supported separatist forces in Georgia and, by so doing, undermined its territorial integrity. Although Georgia joined the CIS in 1994, it has at the same time pursued pro-Western foreign policy by joining the Council of Europe in 1999 and by openly and officially declaring its aspiration to join NATO in 2002. The establishment of the GUAM Organisation for Democracy and Economic Development was yet another sign of dissent, this time expressed by Georgia, Ukraine, Azerbaijan and Moldova. 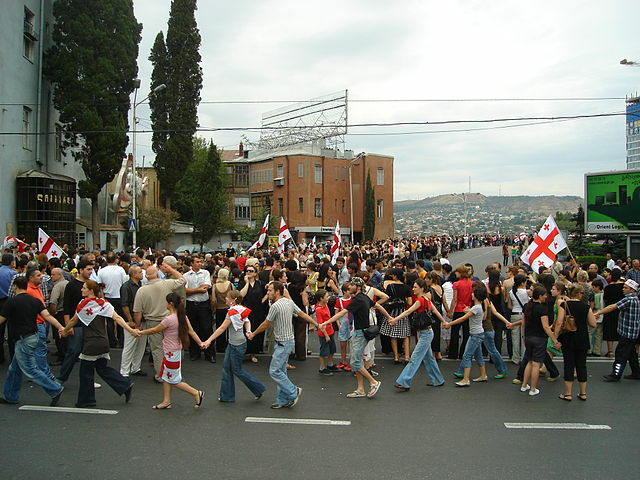 In 2008, Georgia announced its intention to leave CIS and finally thought to detach itself from the perceived Russian sphere of influence. Georgia’s resistance to Russian hegemony was intensified after the Rose Revolution in 2003, when Georgia strongly embarked on a pro-Western foreign policy course and declared in its National Security Concept of 2005 that integration into NATO and the EU is “a top priority of Georgian foreign and security policy”. Georgia’s independent foreign policy choices and Russia’s aggressive refusal to accept Georgia outside of its sphere of influence led to the outbreak of Russian-Georgian war ten years ago. The war, which should have set off alarm bells in the Western capitals, demonstrated Russia’s readiness to militarily challenge any attempt to change the Russian Status Quo – that is, a Russian-led authoritarianism defined by rampant corruption, and built on the notion that it is Russia which sets the rules of the game in the post-Soviet region. Dissent to the Russian Status Quo meant the beginning of an end to Russian hegemony in the region. Russia could not tolerate those dissenting. In 2014, six years after the Russian-Georgian war, Russia annexed Crimea and supported separatists in eastern Ukraine. Together with Georgia, Ukraine also refused to accept the Russian Status Quo and challenged Russia’s hegemony. Both Georgia and Ukraine aspire to join the Western-led structures, such as NATO and EU, and distance themselves from Russian authoritarianism. Shortly after the Russian aggression in Georgia in 2008, Russia recognised Abkhazia and South Ossetia/Tskhinvali Region as independent states, followed only by few states that are largely dependent on Russia. Vast majority of states, and the international community at large, supported Georgia’s territorial integrity and sovereignty within its internationally recognised borders, i.e. Abkhazia and South Ossetia/Tskhinvali Region being an integral part of Georgia. In response to Russia’s occupation of the Georgian territories and recognition of their independence, Georgia adopted the Law of Georgia on Occupied Territories and the State Strategy on Occupied Territories: Engagement Through Cooperation. 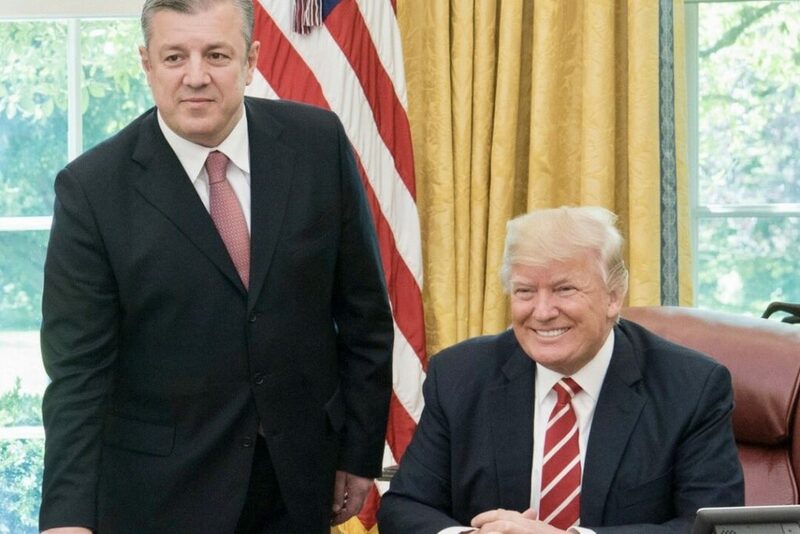 Georgia pursued non-recognition policy in relation to its occupied territories and garnered consistent statements and actions of support from key players such as the United States of America, United Kingdom, France and Germany. Georgia received support from various international organisations such as NATO, European Union, OSCE and Council of Europe. Every year since 2008, Georgia presents the resolution titled “Recognising Right of Return for Refugees, Internally Displaced Persons, No Matter their Ethnicity” at the General Assembly of the United Nations, whereas large and growing number of states show support for the right of Georgians to return to their homes. Apart from concerted and largely successful steps taken by Georgia to uphold support for its territorial integrity, Georgia continues to pursue even stronger pro-Western foreign policy. Year after the Russian-Georgian war of 2008, Georgia and the US signed the United States-Georgia Charter on Strategic Partnership, deepening cooperation in the fields of defense and security as well as fostering economic, trade and energy relations. In 2014, Georgia signed the Association Agreement (including Deep and Comprehensive Free Trade Agreement) with the European Union. In 2017, acknowledging the reforms undertaken by Georgia, the European Union abolished a visa regime with Georgia. In terms of NATO-Georgian relations, with NATO-Georgian Commission, the Annual National Program (ANP) and the Substantial Package involving Joint Training and Evaluation Center and Defense Institution Building School, Georgia is getting closer to its aspiration to become a member of NATO. From 2015 onwards, Georgia and the United States hold the multinational military exercise Noble Partner, “intended to support and enhance the readiness and interoperability of Georgia”. Together with NATO allies, Georgia contributes to maintaining international security by participating in the Resolute Support Mission in Afghanistan. On the other hand, in 2012, Georgia also attempted to reset relations with Russia by appointing Special Envoy for Relations with Russia. While new government of Georgia aimed at ‘mending relations with Russia’, government also made clear that Georgia’s foreign policy priorities would remain unchanged. Georgia’s endeavors to reset relations with Russia were largely in vein due to Russia’s Borderisation policies, which led to the further erosion of Georgia’s sovereignty and territorial integrity. Russia’s recognition of the Georgian territories and continued violation of its territorial integrity hampers any likelihood of normalising relations between two countries. In the past decades, Georgian democracy has been gradually improving. Various international indexes of democracy make Georgia frontrunner in the region. According to Freedom House’s Freedom in the World 2018 report, Georgia is freer than any other post-Soviet state, except for the Baltic countries which are members of the European Union. The Economist Intelligence Unit’s Democracy Index also puts Georgia on the list of democracy frontrunners in the post-Soviet region. However, a test to the consolidation of Georgia’s democracy will be the Parliamentary elections in 2020, which will demonstrate Georgia’s ability to relinquish the system of one-party dominance and pursue a multiparty democracy that gives other political parties a meaningful stake in the governing process. Georgia, Moldova and Ukraine –which are signatories of the Association Agreement with the EU, benefit from free trade and visa free relations with the EU member states – are consistently contesting Russia’s rising authoritarianism. 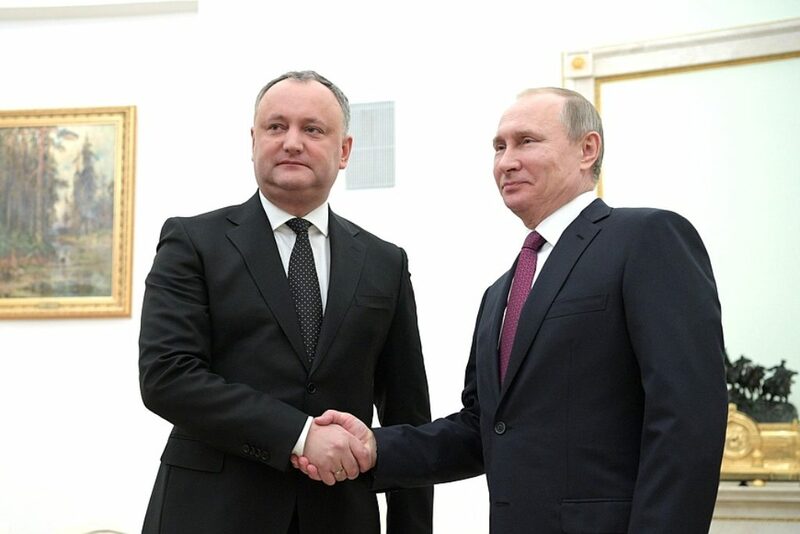 While Russia sees it fit to assert control in its neighborhood primarily through military interventions and use of force, the cases of Georgia, Moldova and Ukraine indicate that Russia’s hegemony is being constantly contested and dissented. Unless Russia itself choses a democratic path of development, Georgia will hardly find a common ground with its northern neighbor. 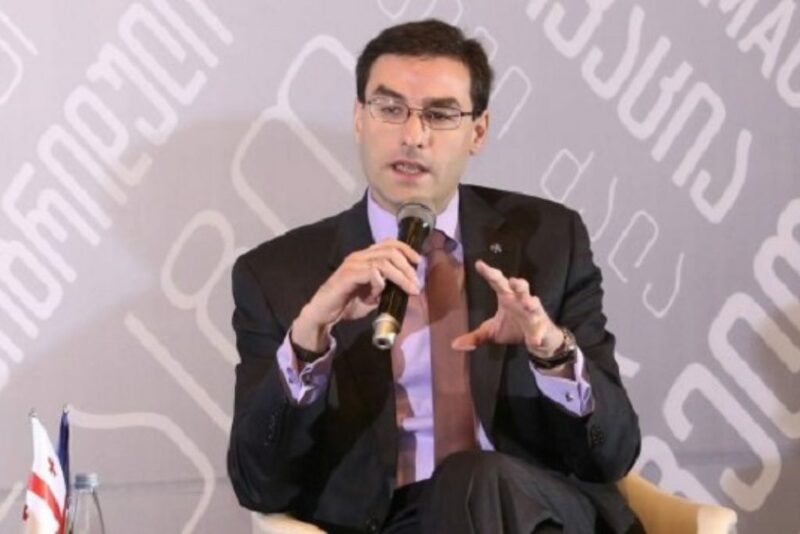 Irakli Sirbiladze holds MA degree in International Relations from Queen Mary University of London. His research interests include Russian foreign policy, Critical Security Studies and the post-Soviet region.